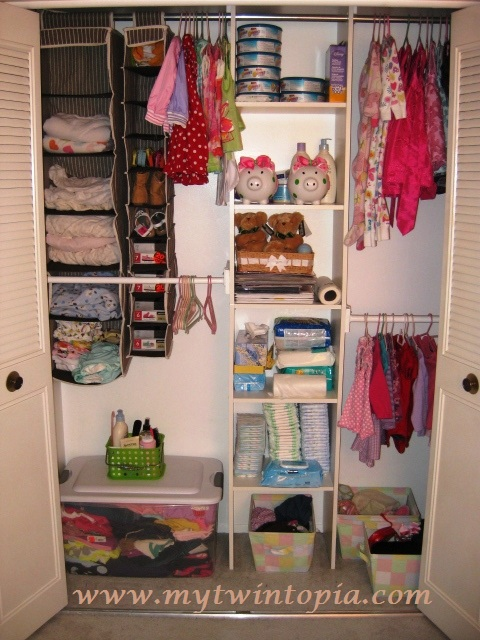 This is a collection of tips and products I would recommend to anyone interested in organizing their kids' clothes, closet and rooms. Here's what my twin girls' closet looks like now and a little background information on the picture. All closet organizing supplies are available on Amazon and for less than $75, you can bring some order to chaos. How about that! I love stuff like this. closet pictures are my fav. Organization is key....otherwise, many clothes hide away and are forgotten about until they're outgrown. I recently read a great organizing tip for traveling...put different outfits together in separate zip lock bags...that way, you won't have to dig through the suitcase - just grab and go! Hey, Do you mind sharing what store you purchase the "Little Dirt Devil" vacuum from. Cant find it in Canadian tire.